When I was a girl, spending summers with my grandparents, my grandfather and I would frequently take drives out into the country and stop at the fruit stands. In the central valley of California fruit stands are amazing places. The tomatoes are deep red and the size of a salad plate! We’d always bring home a huge bag of big red beauties! 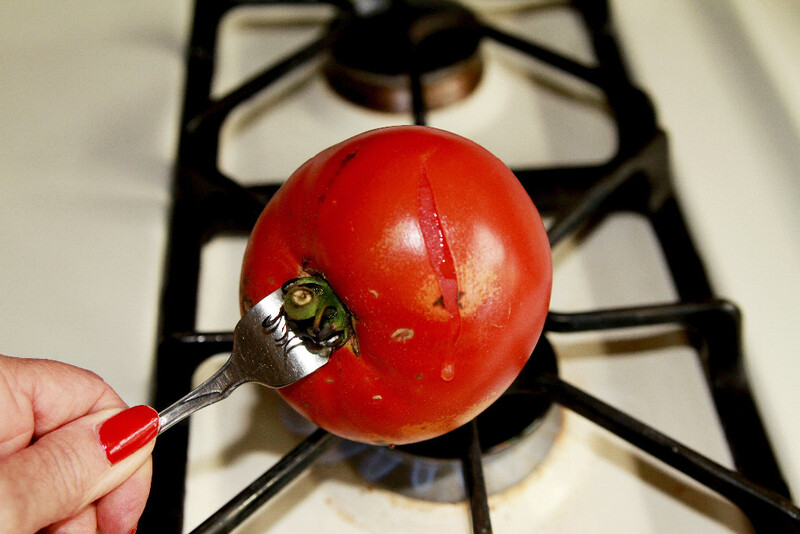 While I love tomatoes, I don’t like them with the skin on. But, who wants to waste any of the yummy goodness by carving them up when trying to peel them! Grandpa to the Rescue. 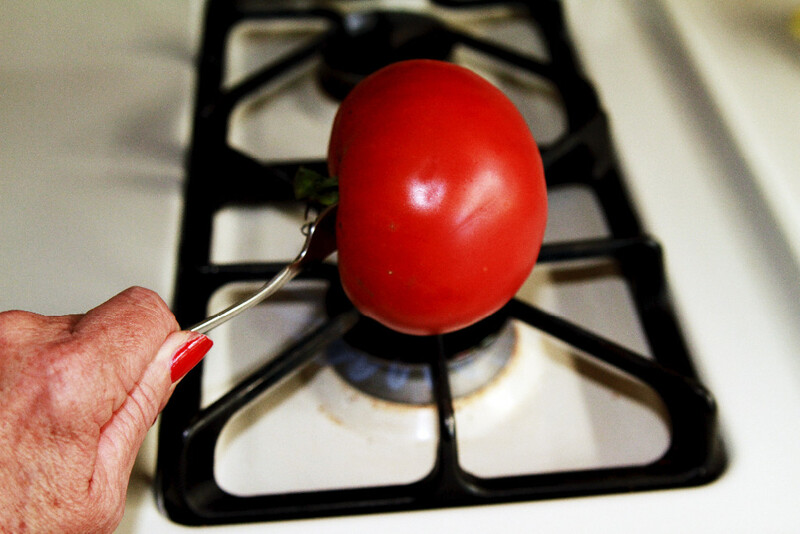 One of my fondest memories is standing at the old Wedgewood stove, “toasting” our tomatoes! My grandfather was a quiet man but when he spoke he always had something to teach. 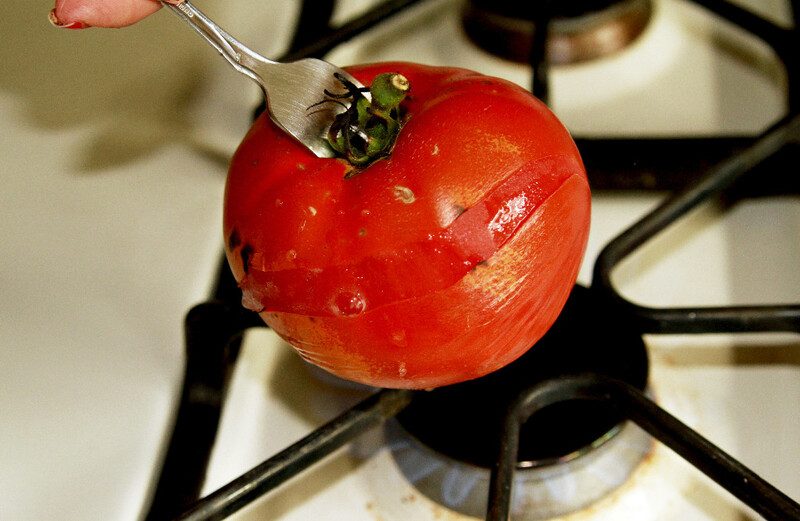 And now, I can share it with you: the absolute best way to peel a tomato without wasting one bit of the great tasting flesh! Stick a fork in the stem end. 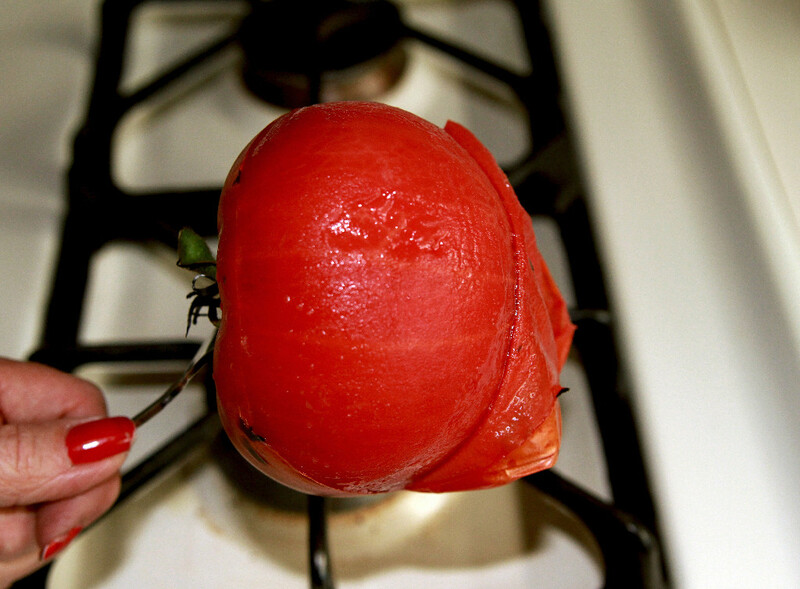 Turn on a gas range to a medium flame and toast your tomato like a marshmallow! 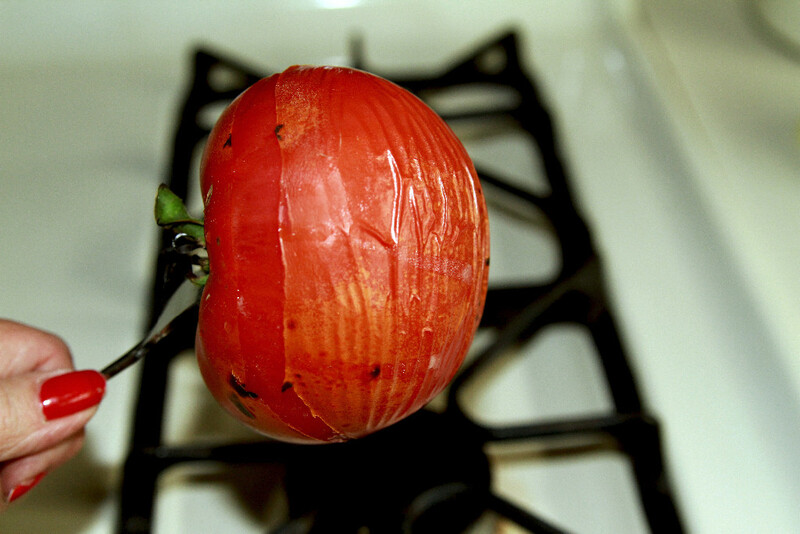 Step Three: Keep turning from side to side and bottom until you have a perfectly peeled tomato! Beautiful right? 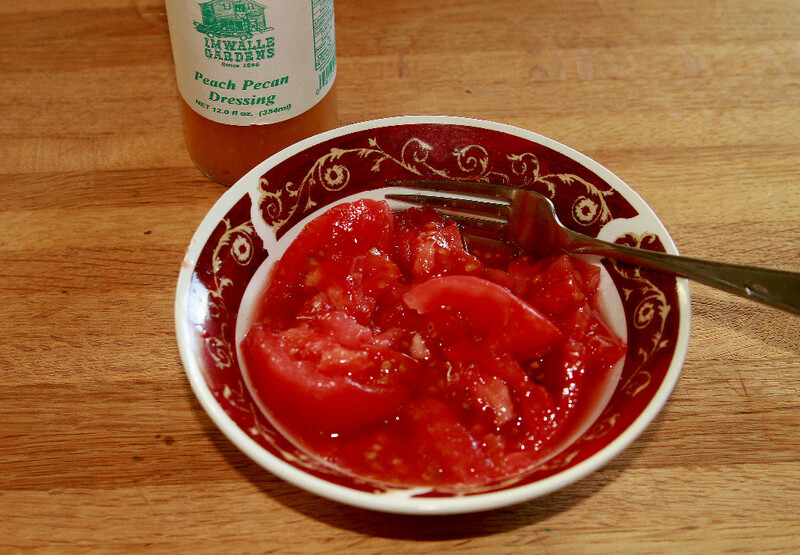 Now just cut in chunks and maybe add a little dressing for a tasty summertime treat! 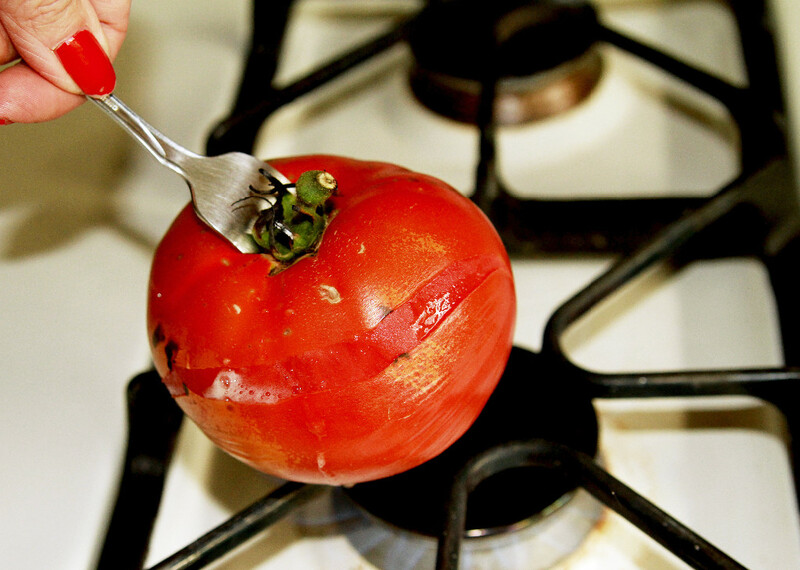 One note: Your tomato has to be nice and ripe for this to work well…This one is a “Big Boy” tomato from our garden. Do you have a special tip or kitchen trick to share? Please do! Like our “the radish patch:” face book page and Pin to share! ← Moving Chickens Into Their New Home…Days 2 & 3…The Rest of the Story! 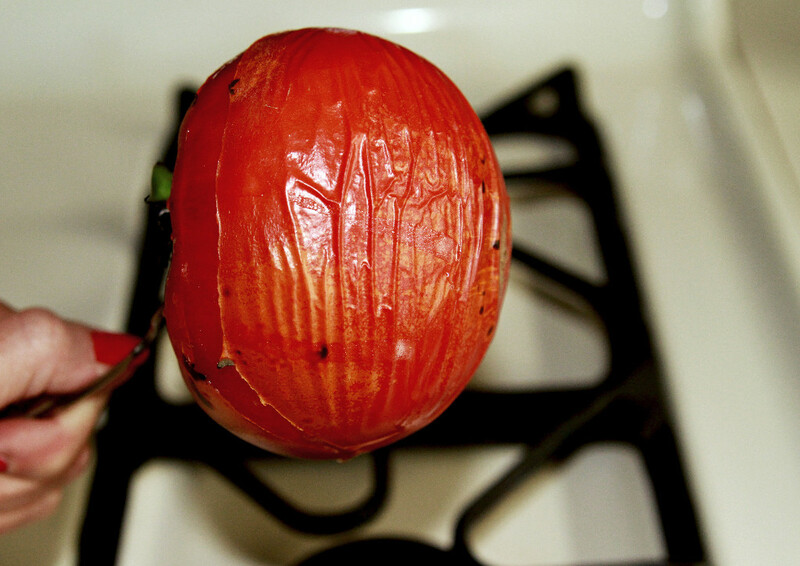 I enjoy the tomatos sliced with the skins on ,but blanch them to get skins off when we can them. When we get peaches that are not yet ripe I put them in a paper bag with a whole banana placed in a dark place for 24 hours. they rippen by then , unless real hard ,then, may take an extra day. My grandmother taught my mother, my mother taught me on the same model stove. I loved watching them blister. Great tip! And what a lovely memory for you to cherish and share with us. If you need to peel many at once, stick them in boiling water for just a few minutes, then take them out and place them in cold water. The skins will practically fall off.